Fast growing evergreen. 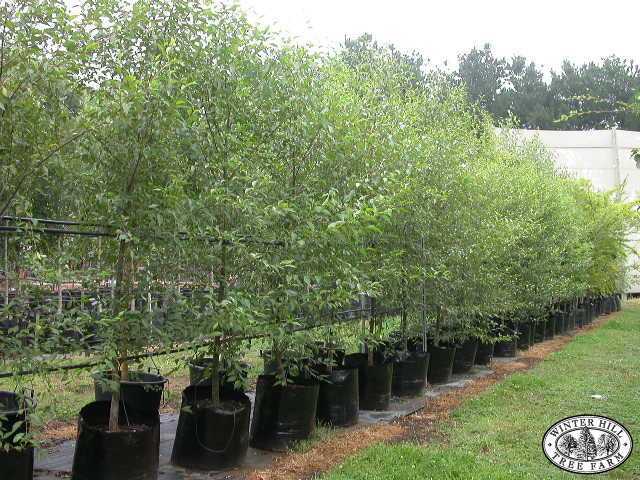 Semi-deciduous in cool climates an ideal screen tree. Dark glossy leaves. Bark is pale greyish and papery. Suitable in most soils in full sun. Will grow in waterlogged sites.